Adam Geragosian played four years of Division I hockey at Northeastern University. He graduated from Northeastern in 2007 with a Dual Major in Business Administration. While playing at Northeastern, Adam competed against the best teams in the country and was honored by Hockey East for his goaltending performances. Since graduating he has gone on to play professional hockey for the Twin City Cyclones, and the NHL affiliated Pensacola Ice Pilots (New York Islanders). 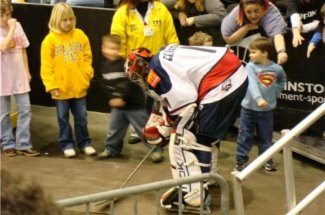 At the professional level he has received individual game honors for his goaltending. Prior to Northeastern Adam attended St. Johns Prep (Danvers). At St. John's Adam took his team to the Super 8 as a freshman; placing 3rd in the state. After St. John's Adam transferred to Lawrence Academy where he was named a league All-Star his senior year. Upon graduating from high school Adam decided to play one year of junior hockey with the Boston Harbor Wolves. He helped take the Harbor Wolves to their first ever playoff appearance. While in high school Adam competed in national tournaments with Team Massachusetts. In his first tournament with Team Mass in Vancouver, BC, he garnered tournament MVP honors while finishing in second place. The following summer Adam was 1 of 6 Americans chosen to participate in an international development camp in Czech Republic. There he would train for 2 weeks with the best players and coaches from all over the world. The next summers' national tournament took place in St. Cloud, MN. 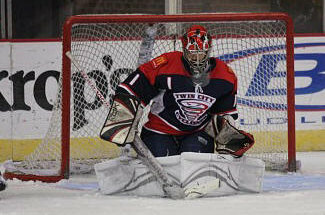 There, Adam was selected as the tournaments top goaltender and was chosen to play for the United States under-17 team. With Team USA he participated in the Four Nations Tournament in Slovakia where he and his teammates won the Gold Medal. Adam has been involved in coaching goaltenders for over 10 years. During this time he has developed a strong passion for helping goalies reach their full potential. He believes that incorporating proper technique with strong mental preparation is the key to success.